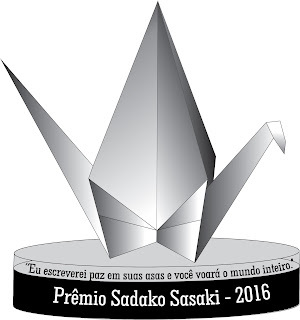 The Sadako Sasaki Award in honor of the empowerment of women and girls, and youth dialogue for the dissemination of sustainable development goals of the United Nations, is an initiative of the Brazil Japan Neo Humanitarianism Universalist Organization, ONH-U Club Sadako Sasaki and the Office of Councilman Gilberto Natalini the Municipality of São Paulo; to highlight the primary importance of Agenda 2030 to humanity: "We the people" are the celebrated opening words of the UN Charter. And are "we the people" who are embarking today on the road to 2030. Our journey will involve governments and parliaments, the UN system and other international institutions, local authorities, indigenous peoples, civil society, business and private sector, scientific and academic community - and all the people. Millions have been involved with - and will hold - this Agenda. It is an agenda of the people, by the people and for the people - and this, we believe, will ensure your success. " For the final selection of the winners are consulted journalists and opinion leaders from the city of São Paulo, in order to format indications of great female personalities that stood out for its humanitarian actions in favor of gender equality and empowerment of women and girls in the city from Sao Paulo. Honor the 12 winners of Sadako Sasaki Award in favor of gender equality, in order to provide public recognition for the defense of human rights of the female population, and give visibility to the humanitarian and voluntary work performed by women and girls in society. According to the IBGE, between 2001 and 2009, the proportion of Brazilian households headed by women grew 35% approximately; 22 million families declare women as family stay in all aspects, materials and relationship. Currently 51.8% of Brazil's population are women. The announcement of the winning female personalities of Sadako Sasaki Award in favor of Gender Equality will be held in a public ceremony. 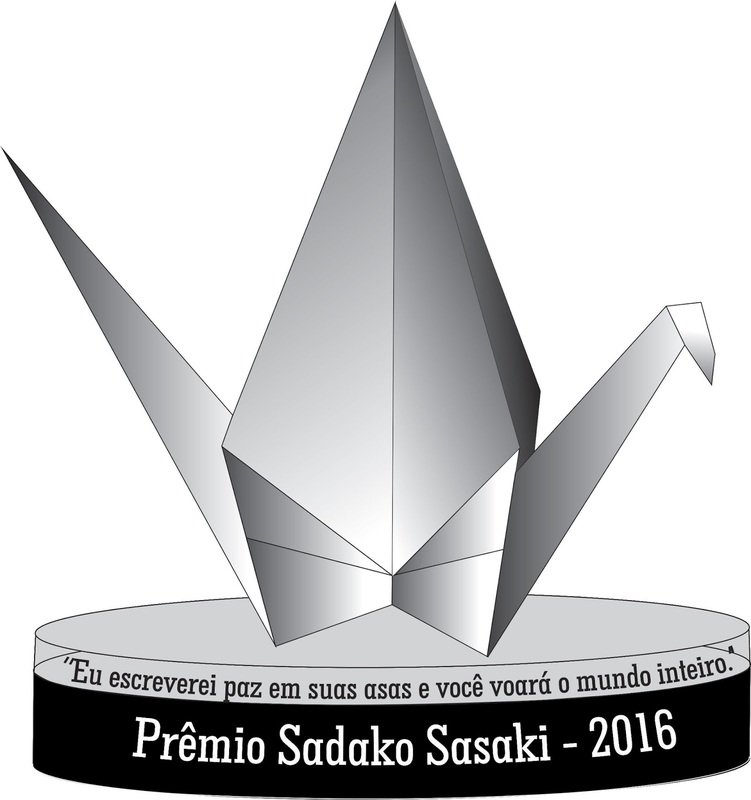 The winners of Sadako Sasaki Award in favor of Gender Equality, will receive an award of Merit, and will have their names inscribed in the Merit Book on Gender Equality Prol, deposited in the Municipality of São Paulo in a Solemn Session to be held on August 06, 2016, in the time from 15:00 to 17:00 in the Auditorium of the Prestes Maia Anchieta Palace of. The incredible journey of tsurus became world famous thanks to a girl of 12 years old, called Sadako Sasaki, the city of Hiroshima, Japan. It was exposed to atomic bomb when he was two years old, and lived normally with his family until the day he was admitted to the Red Cross hospital with leukemia; ten years after the explosion of the first atomic bomb in Hiroshima. To visit her in the hospital, her best friend, Chizuko Hamamoto, told him the legend of the thousand tsurus. From then on, Sadako began to fold the birds would grant him his life. At one point, however, he realized that the war was the cause of all the evil and wished that no child ever again suffer because of the wars. Sadako Sasaki died on 25 October 1955. Doubled 646 tsurus, and inspired thousands of people with his strength of history and sensitivity. A monument was erected in his honor at the Peace Park in Hiroshima.